11 YEARS - who would have thought? 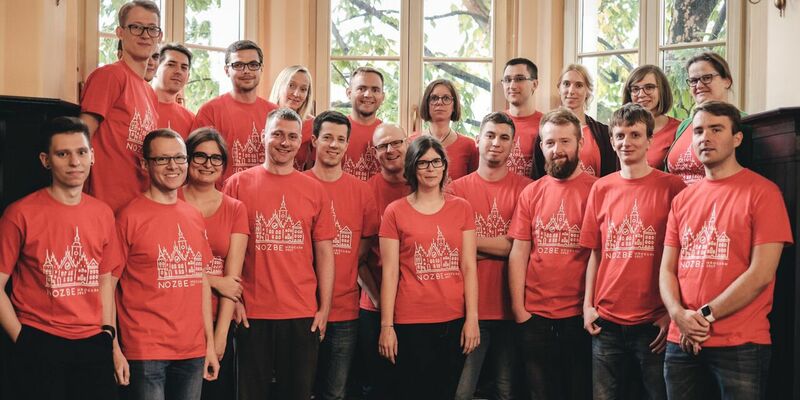 I started Nozbe completely on my own and now we’re a core team of 24 people + 10+ core contractors - so way more than 30 people are working on Nozbe every single day. Over the 11 years that we’ve been running this, 13 people “graduated” from our team - meaning they worked here for more than 3 months but at some point moved on. What a ride it’s been so far! And I still feel we’re just getting started! It all really started in 2005 when I was still an Internet Marketing consultant and needed to get my act together and get organized. I built the first version of Nozbe as a weekend project and used it myself… and only in late 2006 decided to rewrite it from scratch and show it to the world. In 2007, after Nozbe launched and got first 5000 users in the first few months, it was still my side project - I’d work on Nozbe in the afternoons. In 2008 I decided to make it my full time job and hired my first employee, on a 50% basis, a young student named Tom. He’s still with the company and he’s our CTO now and obviously he’s not a student anymore. In 2010 we also introduced Nozbe iPhone and iPad apps and started internationalizing Nozbe more (until then, Nozbe was only available in English and now we offer full support for 10 languages!). We also started building apps for Mac, Windows and Android. In 2014 “One Nozbe” launched - an app that looks and feels very similarly on all the major platforms. In the meantime we started integrating even more with each operating system - through widgets, quick add shortcuts, Apple Watch app and other integrations. 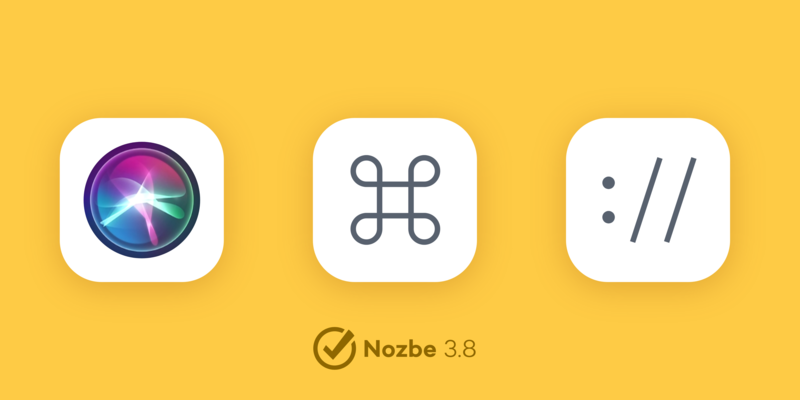 In 2016 we launched Nozbe 3.0 - a redesigned version of our app, along with new “Nozbe Business” offering. As Nozbe team grew from 1 to 3 to 10 to 20 to now 24 people in the core team, we realized that we could run our small company completely in Nozbe by sharing projects together and delegating tasks. We stopped using emails internally and we enjoyed our asynchronous work where all the information about a task is right there attached in a comment. 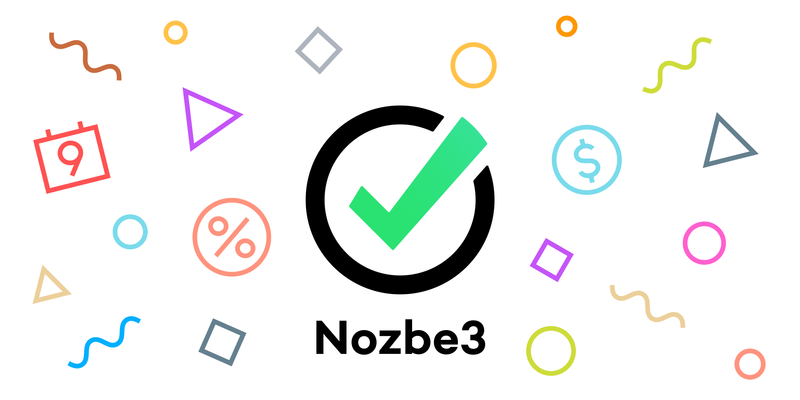 We loved it, and we started promoting it - that’s why we introduced “Nozbe Business” - to see how other businesses could be using Nozbe to take their productivity to a whole new level. Simply Get Everything Done… Together! What we’ve realized is that yes, some people prefer to get their stuff completely alone - but they still enjoy using their productivity app on many devices at the same time and having a peace of mind of cloud sync and backup - that’s why we still have a “Solo” plan for them. However, in most cases, you’re not alone. You’re working with someone. Your partner, spouse, co-founder… and with them you don’t want to be exchanging emails - you want your communication to be on a higher level… so you sign up for a “Duo” plan and you start sharing projects, delegating tasks and communicating with comments. This is so much better than email! As your team grows, you want to be introducing more folks to your productivity system, and for that we’ve created “Small Business” plans - for teams of up to 4, 6 or 8 people. These plans have very attractive price points and encourage small teams to drop email and focus on getting their stuff together through tasks and projects. And for really efficient companies and teams we’ve got “Business” plans, for up to 10, 15, 20, 30, 50, 100… and unlimited people. With these plans we even decided to offer dedicated account rep to help integrate Nozbe within the team as well as complimentary live video training to make sure you’ve got your team set up properly for maximum effectiveness and productivity. We want other teams of our size or similar, experience our kind of success by using Nozbe and most importantly we strive to make their work as convenient and as efficient as we can. We also introduced our top-of-the-line “Unlimited” plan for one flat fee to indicate that the big enterprise customers are not our goal. I mean, it’s nice to have them (and we have a few) but we don’t want any one customer to pay us disproportionately large sum of money and have the power and influence over our business and our product. This way, if such a customer threatens to leave us because we’re not offering an exact feature they need, we’ll miss them, but this situation won’t influence much our bottom line and won’t force us to make a decision which might be good for this one customer but bad for everyone else. Communicate through tasks - no more email for collaboration! We do communicate through tasks and our new plans reflect that we want other teams and companies to work the same way. I really physically cringe when I see a team using email for collaboration. I’m like: “Why are you doing this!? This is 2018! There are better tools than that!”… and so on… I really can’t stand this because I know there’s a better way to work. 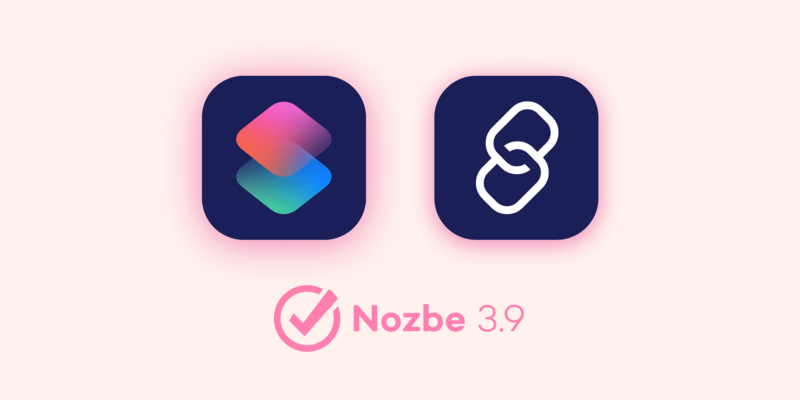 By using tools like Nozbe, you can share projects, delegate tasks and communicate clearly in each tasks’ comments… and you easily see who’s responsible for what, how things are doing, what’s missing, who’s got the latest version… and you don’t need to dig through your email archive to know that! We have no outside investors and we’ve never had them and are not planning to get them. We’ve had quite a few offers to invest in Nozbe, but the thing is, our company is not really a good fit for investors. All they care about is growth… and all we care are our customers and delivering the best product we can for them. Don’t get me wrong, growth is nice and all.. but not at all costs. We prefer slower growth and better working conditions… and even some profits on top of that. So if you’re an investor looking to invest in a great technology company, we appreciate your work but we won’t be working together… unless of course you’re a paying customer and you’d like to send us feedback on Nozbe, which we’ll gladly listen to. We love customer feedback! That makes our customers our real investors - as they fund our company by paying for Nozbe and saving lots of time (and money!) by using our app in the process. This way we can focus on “maximizing shareholder value” by really “maximizing customer value”. We’re still humbled that more than half a million people from all over the world are using our tool to get their stuff done every day. We’re also not for sale. We had a few offers in the last 11 years but ultimately we also love our freedom of working on what we feel is right. As the founder and owner of the company I value freedom to create a company I feel is best above anything else. And I tell you, this freedom is amazing. We choose what we’re working on, how we’re spending our time and who we’re working with (our team) and for (our customers). I’ve mentioned these 5 loves of life in an article on my personal blog. ”No Office” - because work is not a place to go, it’s a thing that you do! 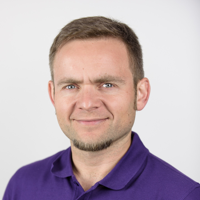 Back in 2008 when I hired my first employee - Tom - he was living 200km away from me… but he was the best programmer I could afford… and I didn’t want to settle for anyone else just because he wasn’t closer to me. I didn’t have an office then… and after 11 years I still don’t have an office now. All I have is my small home office. That’s it. Everyone at Nozbe works from home. We don’t have an office in Nozbe. People say we’ll finally get one “when we grow up”… but by having people spread not only all over Poland but also other parts of the world… where would that office have to be? That’s why we have “Nozbe Reunions” (we meet twice a year in one place), that’s why we work from our homes… or cafes… or any other places we feel like working from. This way we’re leading by example and showing other companies which have offices, that an office is just a tool… like any other tool that helps you get a job done… but not a requirement to have a successful company. And yes, I’m writing a book about it, called “No Office” which should finally be out at some point next year… so stay tuned! Future of Nozbe? Where are we going? In the near term we’re about to ship version 3.7 of Nozbe with “@“ mentions in the comments, a dark mode (looks cool on an iPhone X!) and lots of other improvements. Long term we’re busy building ground work for the next decade of Nozbe and it looks very promising although there’s still lots of work ahead of us. We’re also looking into growing our revenue and profits this year… as well as growing our team steadily, so stay tuned - 2018 will be a very important year for Nozbe and as every year with this company - I know I’m going to enjoy it a lot and learn so much… and most of all… grow as a leader, team player and a productivity student. Here’s to a fantastic 2018 and again, thanks so much for being a Nozbe customer and sticking with us for the last 11 years! Here’s to 11 more and then some!